Juvtmall provides turn-key service for makers& geek& factories on PCB prototyping and PCB+ Assembly making. Creating the PCB and PCBA by oneself is not easy, lots of makers have experienced that worried about assembling the new PCBA board, or bothering in finding a reliable collaborator in the prototyping or small batch of production. If you do, maybe you can have a try of Juvtmall PCBA service, which supply professional and reliable PCB assembly service for you. We wanna help you to free your hands to create and design more useful things. With this service, you do not need to suffer from soldering these very tiny pins of IC any more, especially SMT, BGA, etc. Besides, Juvtmall provides some other service includes Fusion PCB, Components Sourcing, System testing, etc. You can get all the service that you need in your designing& manufacture in Juvtmall. Juvtmall supply turn-key service of PCB& PCBA, we produce PCB/ assemble components to it cording to customer's design files and BOM. Once there's trouble in PCBA, please check if your design is ok, because Juvtmall don't evolved in design, can only ensure produce by files. For we don't know customer's production's function, also don't know the principle, it's very difficult to know if your production work well, but we can ensure that we produce by customer's files. Send back to fix production will generate much fee on shipping, we only pay fee on ship to you ( the tax will also paid by customer, 16% of the value, so you know to deal with it), if want to send back, please notice which should be change, what should we do, the extra fee also will be charged such as need more components, need to test and so on.. Step by step instruction of programming/testing, if you want us to do such service for you(we don’t supply such service for the sample, just for small batch or more quantity; if the programming/testing is very easy, we can do it for you for free, if difficult, we will charge some fee according to the level of difficulty). 2. Quotation will be sent to you by a specific project manager after receiving the quote request. 3. After all the things are confirmed and you want to place the order, you can make the payment and input the corresponding amount money on the current page. 4. We will start to produce the project for you after getting payment within 24h. 5. After completed, some pictures of the boards will be sent to you to confirm before shipping them out. When you think everything is okay, the boards will be sent to you asap. 6. If any other questions, you can contact us at any time. We will reply to you asap. PCB prototyping is normally completed in about 3 days for 2 layers boards, about the components, if all of them can be purchased in China, it will cost about 7-12 days to complete the project; If some components need to be ordered from aboard, it will take much time in purchasing components and the project will be completed in 2-3 weeks. Juvtmall accept customers to send the components for assembly if you want. Juvtmall provides high quality assembly service. We can solder the most common used package such as 0402/0603/QFP/QFN/BGA/THT. We do not have any minimum quantity limitations. You can make the very first 1 pcs prototyping PCBA, or make thousands for your mass production. As the customer requirements, we can solder the PCBA with hand or with reflow oven. For quantity>50 pcs, we will use the pick-and-place machine to place the components. Besides, lead free soldering available for the ROHS compatible. As the cost, the soldering cost will depend on the quantity of Pads, 0.03$ for SMD Pads(with stencil) and 0.04$ for THT pads, with discounts based on the quantity. Besides the Gerber files, Juvtmall project manager will check the files and your required specifications for the quoting. The default specification would be 1.6mm thickness/hasl/green. Please check this as your received the quotation and notify us if you need to alter the specification. A stencil is used for the SMD components soldering. With the stencil, the SMD components would be easy to solder; if you do not need a stencil, we will solder all the components by hand. Generally, after the project is completed, we won’t send the stencil to you in default. But please don’t worry about it, we will keep it for you for 3 months, that is to say, you can’t pay the stencil fee again, if you do the same project in the future. And if you want us to ship the stencil to you together with the boards, you need to pay the extra shipping fee. Quality is treated serially in Juvtmall, test plan, supplier’s qualification, material checking, and so on. All of them protect quality of project. Juvtmall accept payment with Paypal/Credit Card. For payment more than $1,000, we also accept the wire transfer payment. 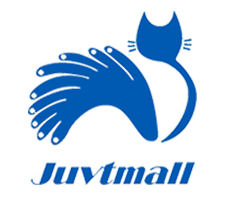 Juvtmall package your products as your requirements. We will ship the PCBA with high quality packaging, to avoid damage in the shipping. We can package your project with ESD bags/ Bubble bags or personal requirements such as labels with your logo. Juvtmall promises not to disclose any of your design files, your related designs are safe in Juvtmall. Juvtmall can also assign NDA with customers to ensure the safety or your design. Juvtmall is fexible in PCB assembly service, we help makers and electronic engineers produce as small as one pieces boards. And we can also work with startups, kickstarter hardware projects, and large enterprises to manufacture high standard and big batch orders. Nice! for the first time to cooperate, they give me a best price, give a discount, and the quality is surely good. I think I will cooperate with you again next time.